Nine’s success story with Travel Guides in a late primetime slot came to an end towards the end of last month. It’s safe to call the show a silent achiever because when discussing Nine’s success in Q1 this year compared to 2016, most TV reports in the industry pointed to the revamped Married At First Sight format. The timing for a new series like Travel Guides, which was produced by Nine in-house, could not have been better. It began during the third week of the Married season and ended a week before the latter wrapped up for the year. Trent Chapman, the company’s head of production and development, told Mediaweek that Travel Guides benefited greatly from occupying the timeslot after Nine’s reality dating powerhouse. The end of the two series makes room in the schedule for a new Nine original, The Last Resort. In a way the upcoming series is the opposite of the Married At First Sight premise. Where the latter explores the beginning of a relationship, the former explores the pointy end of long-term relationships and seeks to save them from falling apart. In other words, it’s on-screen marriage counselling. “Our strategy is about winning time slots, winning nights, winning weeks and winning demos,” Chapman said. “The show [Travel Guides] fit beautifully into that strategy. It won in all of its timeslots in the overnight figures, except on one instance. The seven-episode series was #1 in the 16-39 and 25-54 demographics. Travel Guides originated in the UK and was aired on ITV in 2015. 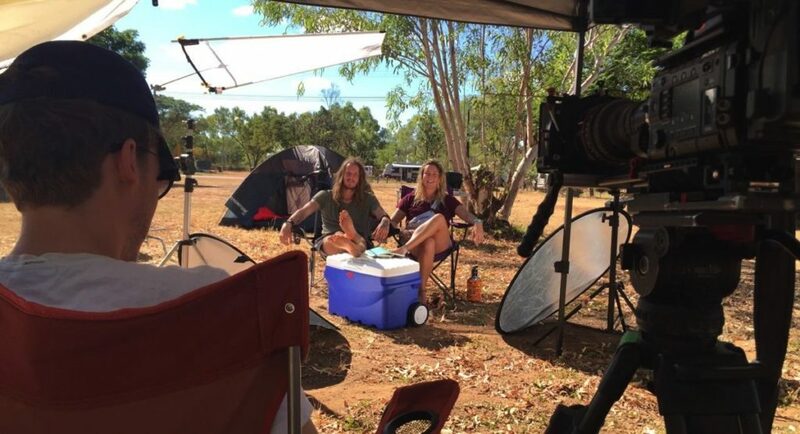 Australia became the second territory to have the format when Nine acquired it from Studio Lambert – the production house behind other formats like Gogglebox and Undercover Boss. Two of the main differences between the Australian and UK formats were the cast size and the addition of the review system from the participants at the end of each episode. The casting calls for the show received over 10,000 applications. After all, what’s not to love about an all-expenses paid holiday trip? While Travel Guides had a large number of applicants interested in participating in the show, it was a different story for The Last Resort, and understandably so, said Chapman. The format for The Last Resort was born out of discussions about the success of relationship programs on TV today, Chapman said. 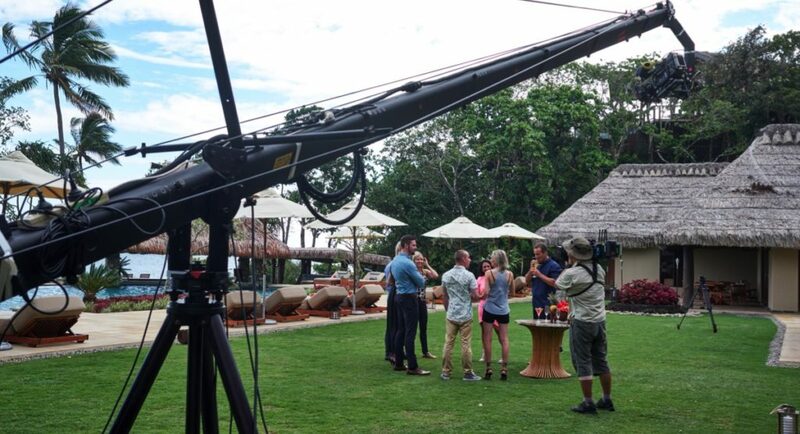 The show takes five couples who have hit rock bottom to a resort in Fiji, where they work with two relationship specialists, Sandy Rea and Michael Myerscough, to sort out their problems. The majority of the series was filmed on location in Fiji. Some episodes later in the series were set in Australia. “Given the title of the program – The Last Resort – we were looking for something that felt like a high-end retreat,” Chapman said. After a long season of Married At First Sight, Ten’s The Bachelor being announced and Seven’s First Dates making a return, would audiences get bored with relationship formats? “Like any show it’s about offering a point of difference,” Chapman answered. “Relationship shows that are interesting are the ones that explore relationships that are in transit of some sort – like in Married that transition is from not having ever met to meeting and early stages of relationships and how they evolve. The Last Resort is looking at long-term relationships in transition, so people who have been together for a long time, the problems they encounter and how they might find a way out of them. (Spoiler alert!) During the chat, Chapman signalled that the viewers will be armed with enough information to know what happens to each of the couple at the end of the season. He revealed that it’s not a happy ending for all of the participants. However, he said that all the couples are grateful for the experience. The premiere date for The Last Resort hasn’t been announced yet. With the long promos already out, it would be safe to say that it’s not too far off and could likely be the program that will follow the new season of The Voice Australia in the TV guide. Chapman and his team are solely involved with Nine’s in-house production and have nothing to do with the shows being made for the channel externally. 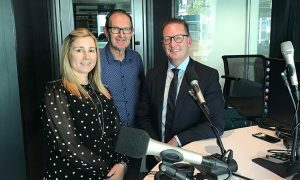 The two projects the team is currently working on are a studio entertainment format to be hosted by Today’s Karl Stefanovic and season two of 20 To 1 to be hosted by Erin Molan and Dave Thornton.